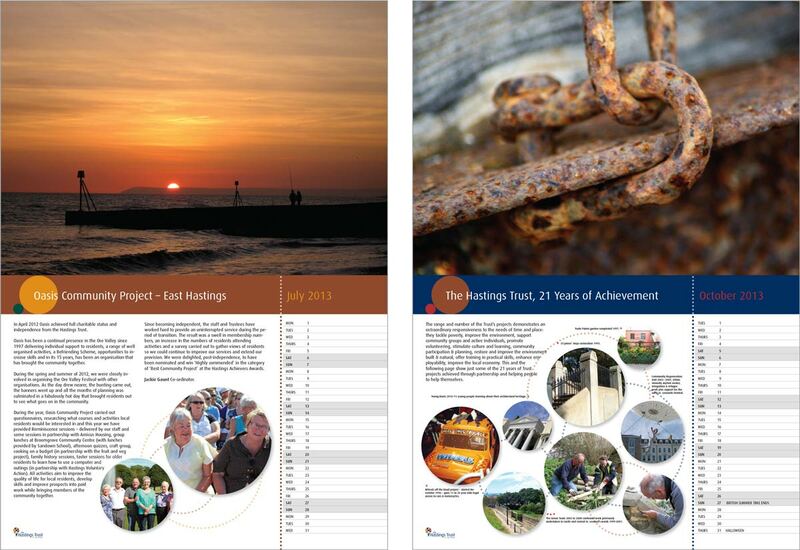 The Hastings Trust is a charity which exists to promote education, wellbeing, environmental improvement and prosperity for community benefit in Hastings and St Leonards. It started life promoting building conservation but over the last 25 years has carried out a host of projects and activities in the area. Designcrew was commissioned 14 years ago to design and produce the Annual Review, which we have designed every year. 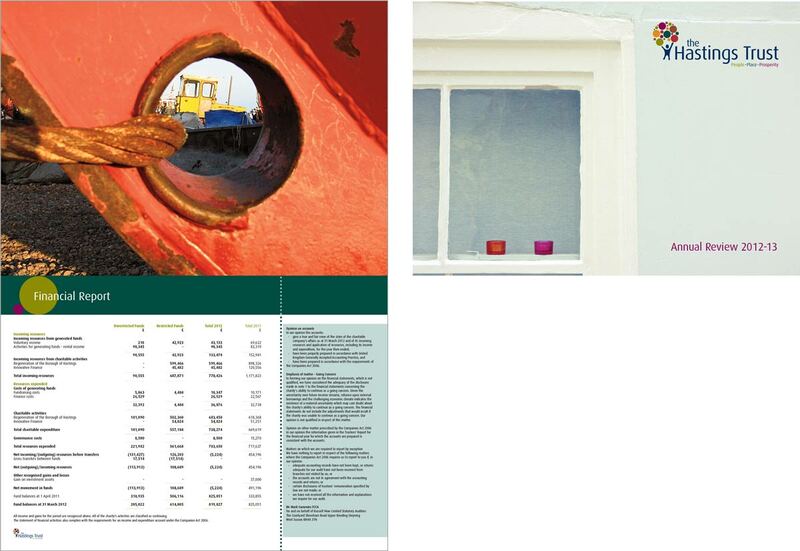 We came up with an idea to produce an A4 landscape calendar with bold photography of Hastings and the projects. 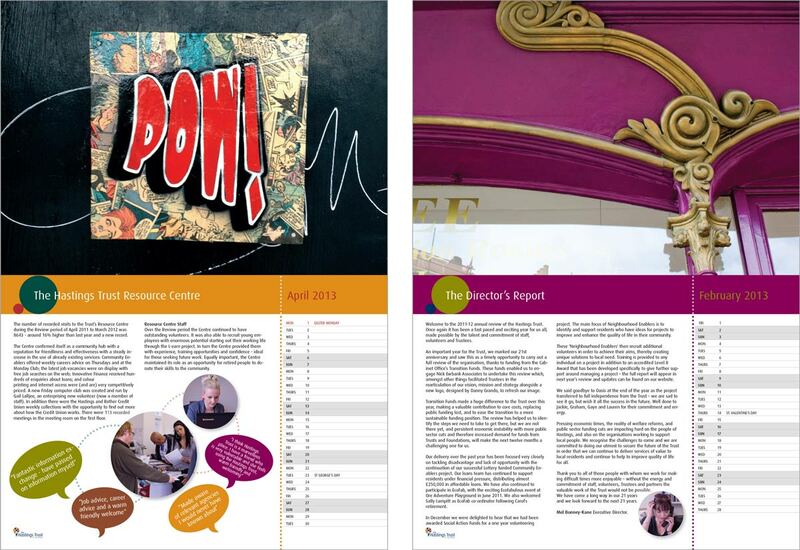 Each month was highlighted with a stunning image, current month details with text referring to the relevant topic. The statistics page always had an unusual graphic to highlight the measured output for each year. 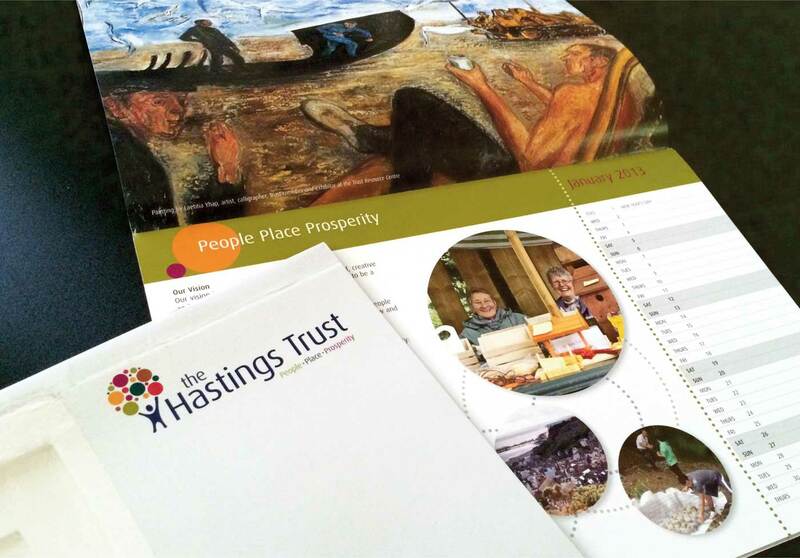 Designcrew was also commissioned to rebrand the Hastings Trust Logo and develop an identity that would better reflect their services in the town itself. We captured the nature of their business with a simple, sophisticated and fun identity, to emphasis the highly personal level of service that they provided.